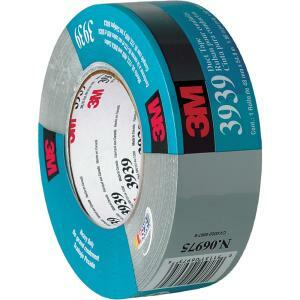 3M™ Heavy Duty Duct Tape has a unique construction that allows for permanent and temporary applications. Constructed of polyethylene film laminated to cloth with a rubber adhesive, this durable tape resists curling and tears off the roll cleanly for easy application. It is removable, with little or no adhesive residue left behind, up to three months after application.